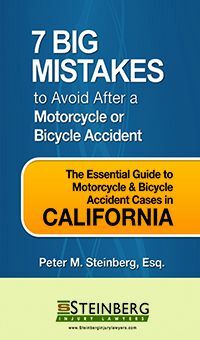 Can I sue the driver who hit me if I wasn’t wearing my motorcycle helmet when I was hit in Southern California? 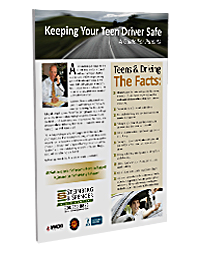 How do I pick the safest vehicle for my teen driver? When would I need rabies shots if I’ve been bitten by a dog? How do I help my child cope with my spouse’s brain injury and personality changes? 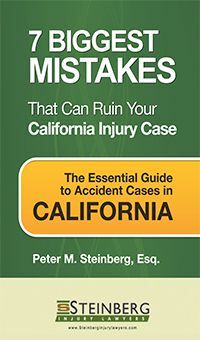 Can I sue the bar in Southern California that served the drunk driver who hit me? What complications could I suffer after my total hip replacement surgery? What complications might I have to deal with after my pelvic fracture in a motorcycle accident? How do I find out how long a big-rig truck driver drove without taking a break before causing my car crash?